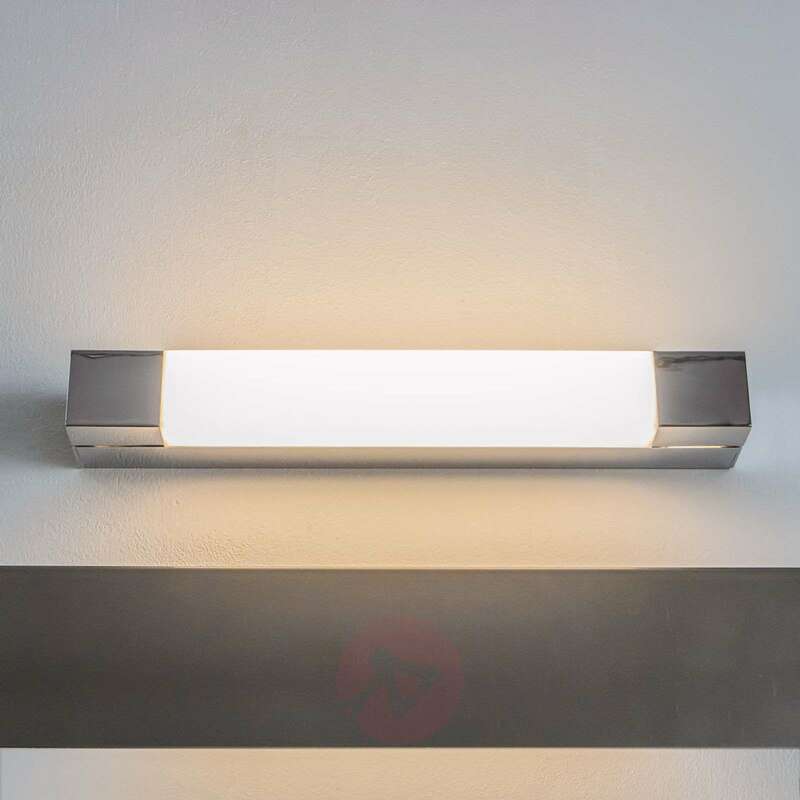 Finola is made up of an angular metal frame and a satin-finished plastic insert, which serves to softly distribute the light. 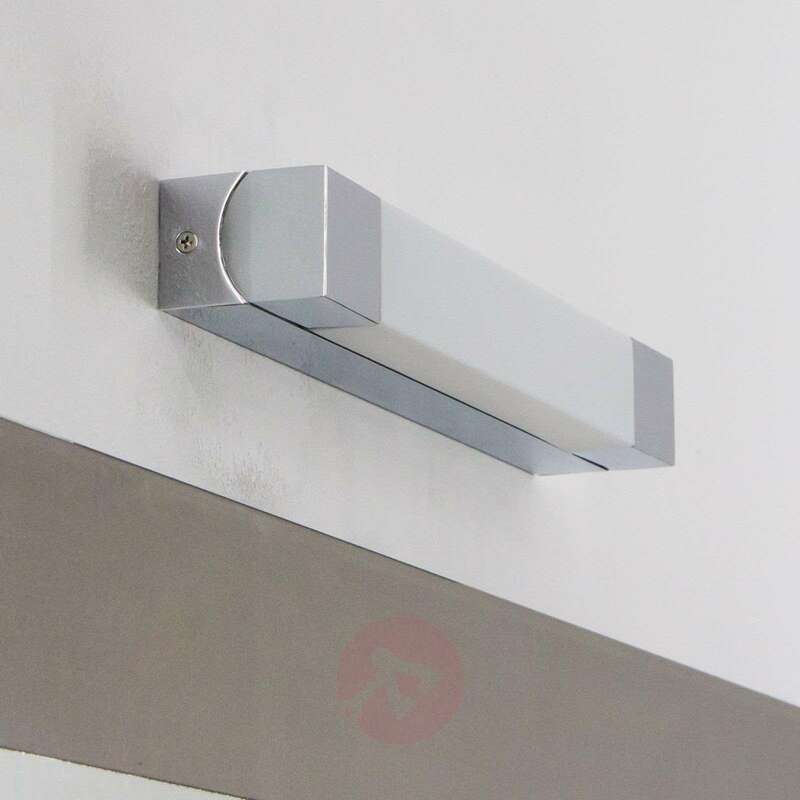 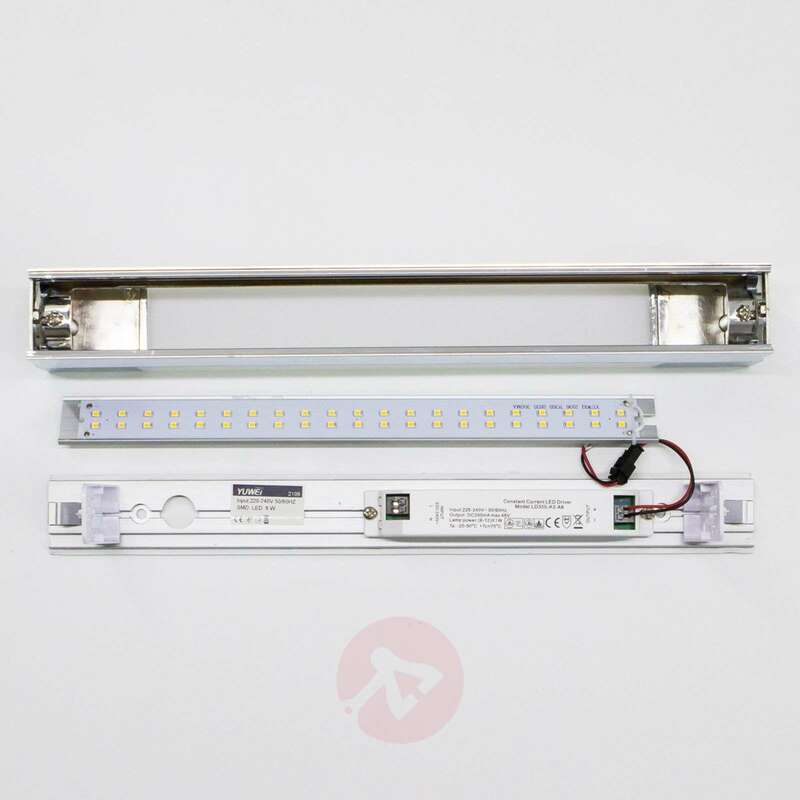 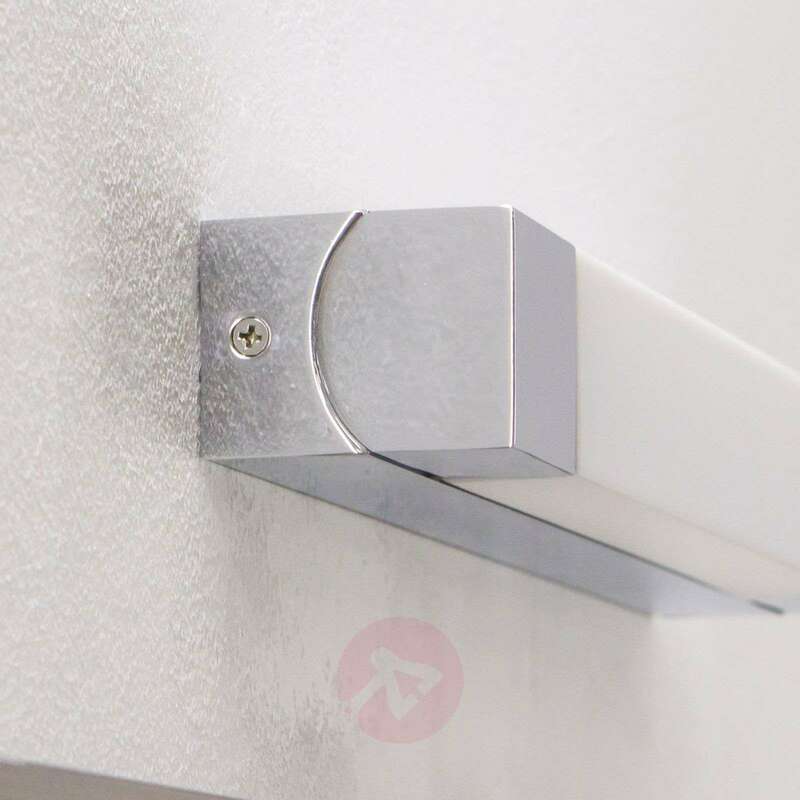 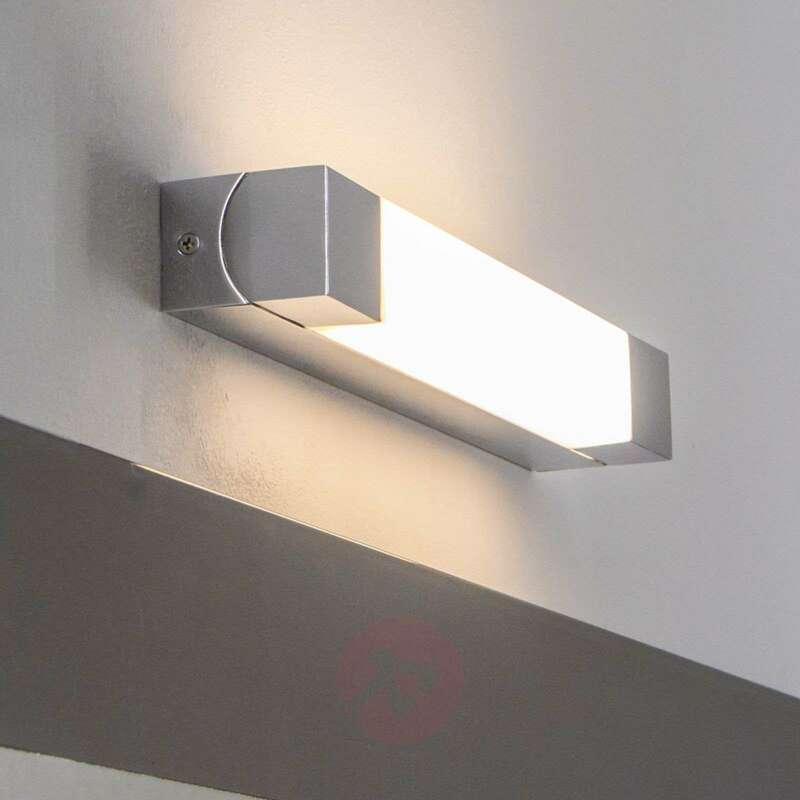 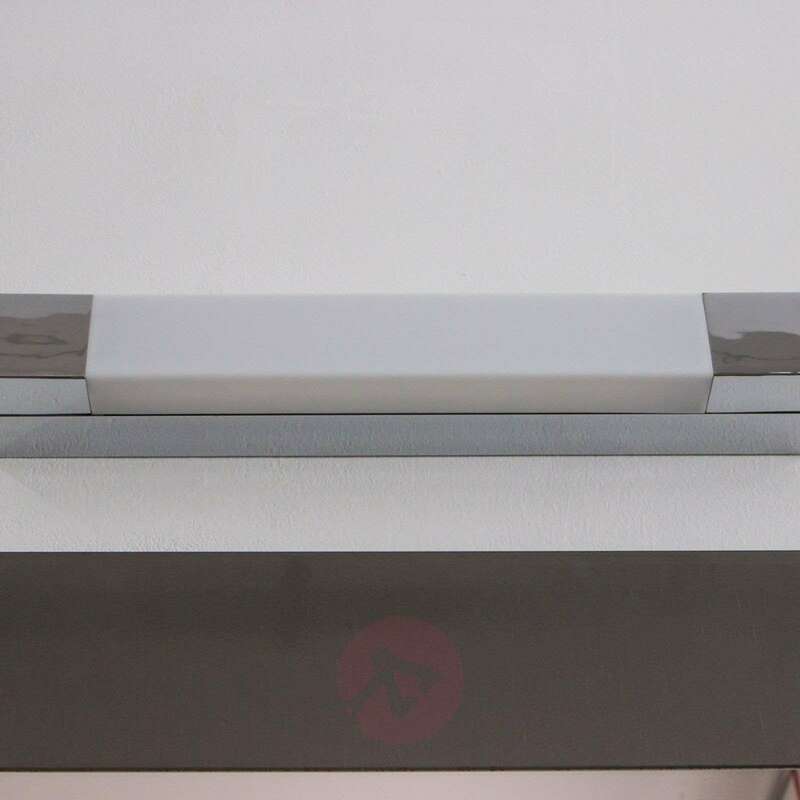 The wall light has an IP code of IP44 and has been designed for use in the bathroom, for example above the mirror. 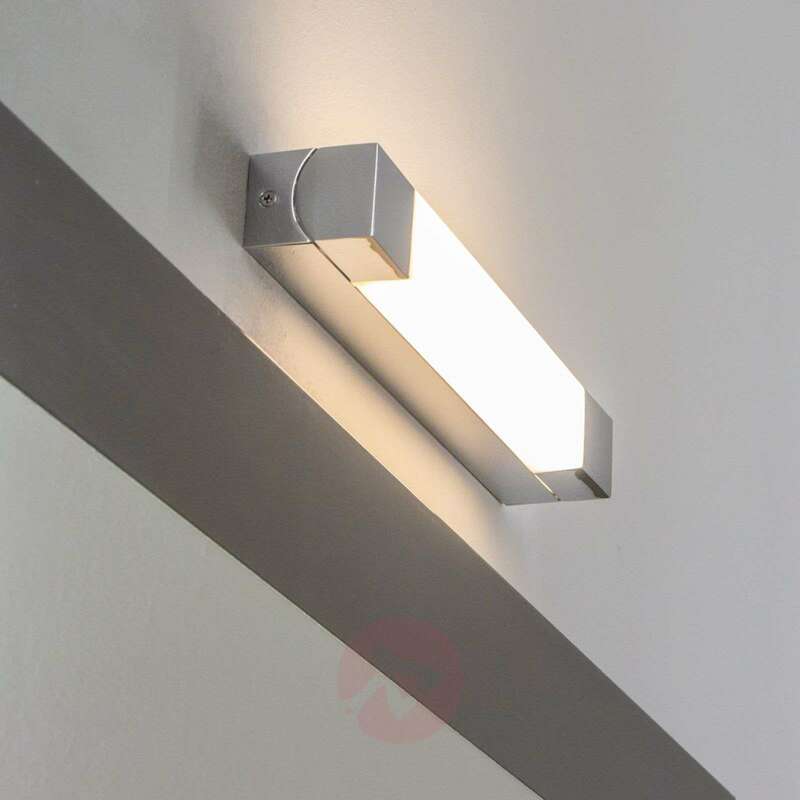 The LED bulbs ensure that Finola is an energy-efficient bathroom wall light, as they offer a high level of brightness at low electricity consumption.